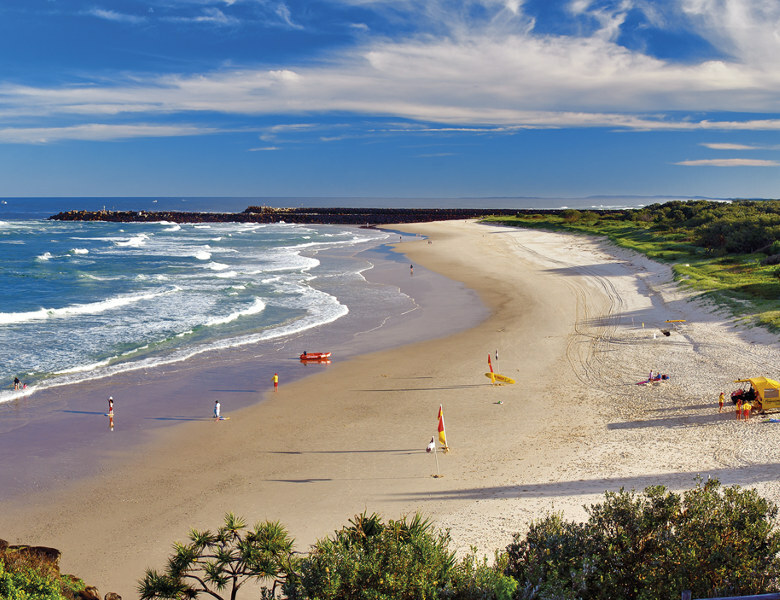 Beachgoers are urged to download the new, free MyBeach info app providing ready access to beach conditions in Ballina Shire at their fingertips. How it works is: a map of the coastline displays icons of beach openings, closures and cautions. South Ballina Beach - Vehicles are permitted on South Ballina Beach (south only from the access point on South Ballina Beach Road). No permit is required but need to be aware of the Pied Oyster Catcher breeding program and adhere to the Lands Department Code of Conduct. For further details contact Crown Lands Division on 1300 886 235. The following Code of Conduct outlines the conditions of use of 4WD's on Ballina Shire Beaches. It provides guidelines to public safety and the protection of local flora and fauna and must be adhered to at all times. 5. Do not exceed a speed limit of 30kph on beach, or 15kph within 50m of any other beach user.